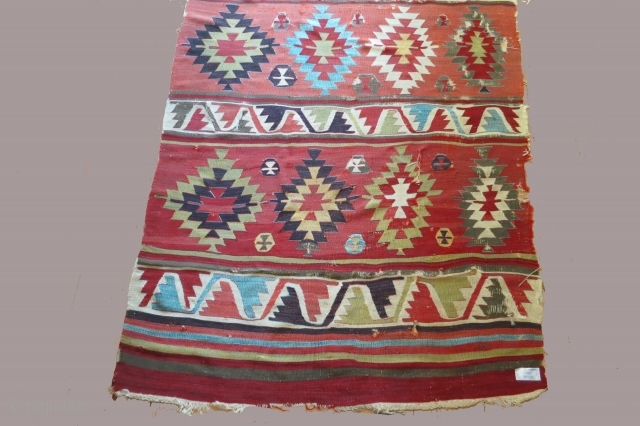 Anatolian kilim with 5 major patterned bands, 5 x 14 feet, circa 1800, excellent condition with minor losses to gray wool areas. The colored areas that appear black in the images is in reality a very dark aubergine. 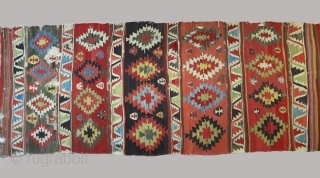 The 4 identical motifs in each major band are one of the fundamental motifs commonly seen in Anatolian kilims. 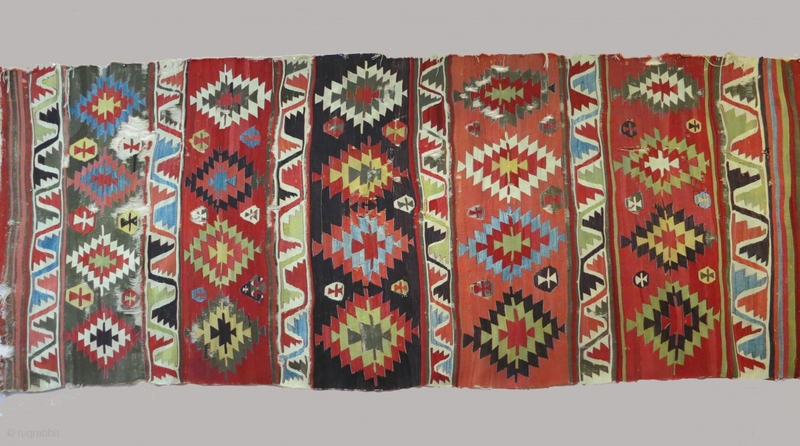 The large scale of the major bands and of the motifs in those bands, together with the free drawing of the motifs render this a graphically compelling and powerful kilim.